Are Humans going to be more Violent in the Future? Did you see this recent sensational piece about artist Nickolay Lamm’s illustrations of “Faces of the Future? 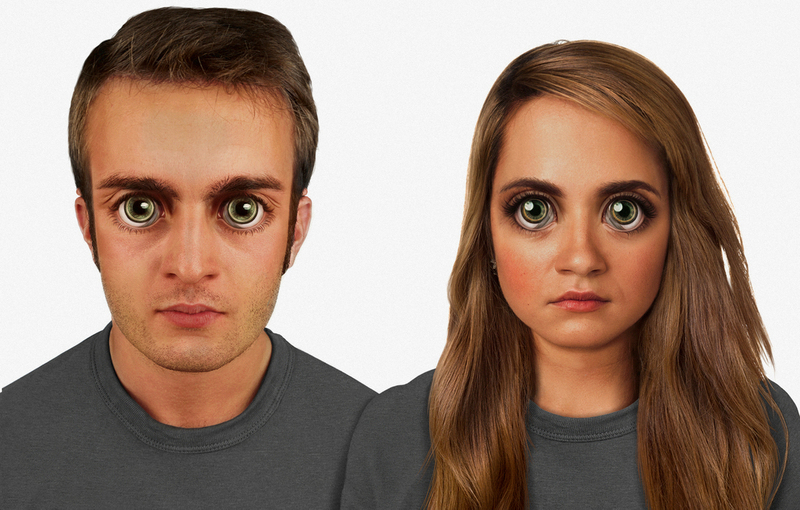 What humans might look like in 100,000 years? The photo to the left is Lamm’s interpretation. I say it is sensational because top biologists like Dr. Mark Siegal, an associate professor at New York University, declined to weigh in on the topic stating, “Sorry, but I find this so far outside the realm of evolutionary biology that I’d rather not comment.” Dr. Siegal probably makes a valid assertion, still, there is no denying that humans have and will continue to change based on our environment and adaptation. Even more interesting and even somewhat disquieting is our ability to dabble in altering human DNA – thus shaping the future of human characteristics in the not so distant future. Still, the whole topic of future human evolution got me thinking about our futures as passive or violent creatures. I have written how we are seeing this evolution in thought as people begin to awaken to their full potential; a process that requires us to shed the ego and our false-self and connect to the True Nature that exists in us all. One would think that with more information available online and through other mass media outlets that humans may slowly begin to reject greed and violence for a more compassionate and peaceful future existence. One could only hope, right? I did a little research on the topic of humans and the future and preened some interesting stuff written by Elizabeth Cashdan, professor of anthropology at the University of Utah. She states, “Evolution didn’t just shape us to be violent, or peaceful, it shaped us to respond flexibly, adaptively, to different circumstances, and to risk violence when it made adaptive sense to do so. We need to understand what those circumstances are if we want to change things,” said Cashdan.